Glasco, Kansas is located on highway U.S. 24 in southwestern Cloud County and is the eastern most community in the Solomon Valley Highway 24 Heritage Alliance. 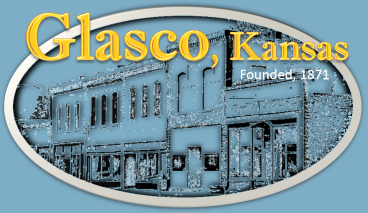 Glasco is a community filled with the warmth of the people that live in and around its boundaries. Together, in this rural setting, we have created many amenities to enhance life among friends, family and those who visit us.